What are the benefits of smoothie to our skin? Let’s find out! It is a well know fact that eating fruits and vegetables have tremendous benefits to our health and skin. No matter what you are trying to achieve: younger looking skin, glowing skin, more radiant looking skin, figthing acne and blemishes, combating aging, etc. etc; fruits and vegetables come up at the top of foods that can help you with all of that. Rich in vitamins, minerals, fiber and anti-oxidant, fruits and vegetables are just the type of foods that will give you the perfect skin. Vitamin C in oranges and kiwis can help stimulate collagen production which in turn help your skin maintains its elasticity. It also boosts your immune system. Carrot, my all time favorite, is rich in Vitamin A. Vitamin A will help in protecting the skin from sun damage and help with premature skin aging and uneven skin tone. Meanwhile, another popular vegetable in smoothies, kale, is high in vitamins, anti-oxidants and anti-inflammatory benefits. A common main ingredient in all fruits and vegetables is fiber (lots of it!). This is also the reason why I prefer smoothie than a juice…. (a specific post on that will be out later on). Fiber will tremendously help with our digestive system. Lack of fiber will cause constipation. Irregular bowel movements (at least once a day) will cause the toxins that’s suppose to go out via our excrement or faeces will be absorbed by our bloodstream. These toxins will then pushed out of our system through our skin. This is one of the causes of acne and less than perfect looking skin. With the current hectic lifestyle we have today, it is quite hard to get a good amount of fruits and vegetables in our daily diet. Fortunately, we have a substitute that is smoothies! By blending the fruits and vegetables into a smoothie, we can now easily enjoy its vast health benefits, all by spending less than 15 minutes at the kitchen! That’s all for today folks on the benefits of smoothie for our skin. Drop your comments below. Any ideas and comments are very much appreciated. Great article! Fruits and vegetables are loaded with antioxidants which has tremendous benefits for our skin. 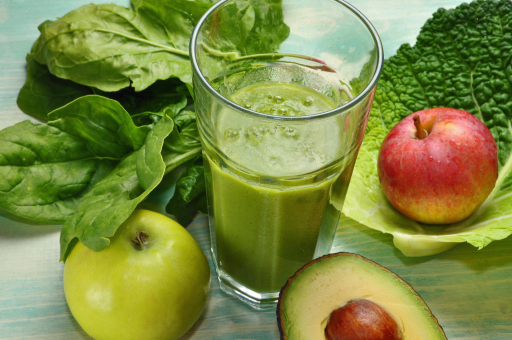 You will never go wrong with it and making smoothies is another way to incorporate more greens into our diet. Go, go smoothies! Thanks Vivian! Another thing that I love about smoothies is the huge amount of fruits and vegetables that we can consume, compared to eating it traditionally (cooking, eating raw, etc.). The huge amount of nutrient in just one serving of smoothie is one of the things that I love about it.